Consumption of beer in China, already the world’s biggest beer market, has reached a staggering 50 billion litres annually, up 29% in the last five years and over twice the size of the next biggest market – the US. It doesn’t come as a surprise that, as India and other BRIC countries with disposable incomes are on the rise, Chinese consumers are spending more on small pleasures and indulgences, entertaining and socializing, with sales of wine and beer benefitting. But with this explosion of growth, brand choices are changing. 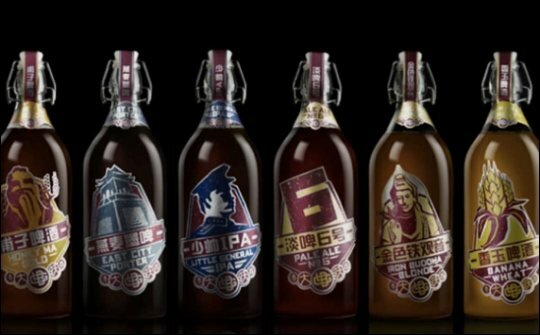 Certainly in tier 1 cities, Chinese consumer tastes are quickly evolving past the consistency promised by mass-produced lagers to the innovative, high-quality, small-scale micro-brews favoured by connoisseurs the world over. According to Forbes magazine, the craft beer scene has taken off with the number of Brewpubs doubling since 2010. Typically, the Great Leap Brewery, in Beijing’s Gulou neighbourhood. Using traditional Chinese ingredients and spices, Sichuan peppercorn, coffee beans from Yunnan province and tie guan yin wu long tea, Great Leap (pictured above) offers 12 beers on tap and over 40 different beers available year round. While many of the beers are brewed in the traditional craft style of an Indian Pale Ale or Porter, their distinctive brand stories have roots in Chinese folklore. Little General IPA, pays homage to Zhang Xueliang (张学良), a patriotic hero for both China and Taiwan and his father (张作霖), a notorious warlord in China's Northeast region. In an area dominated by expat foreigners, consumers of Great Leap beers are over 60% local Chinese and growing. This is evidence that a new generation of Chinese consumers, increasingly aware and confident of their place in the world, post the Beijing Olympics, are celebrating the vibrance of their own culture with a progressive spin. 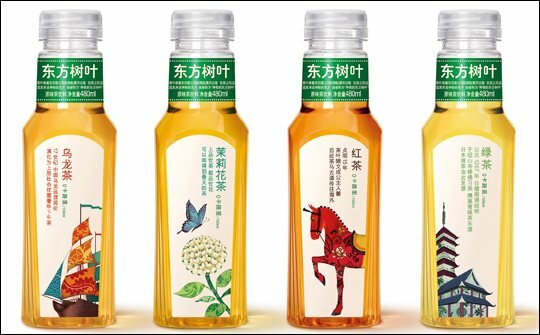 Bored with ersatz international brands they are seeking out local, culturally informed brands such as Nongfu Spring Water’s Oriental Leaf which conforms to distinctly Chinese tastes and expresses a modern Chinese cultural identity. This is a trend we note in other markets – homewares, for example. Hai Chen, founder of popular brand Blue Shanghai White said: “at one point, it was all about buying from imported North European designers. But the young generation is interested in buying something that isn’t entirely Western. They want pieces with a Chinese touch. Emerging consumer economic power is being fast followed by emerging brand confidence and sophistication, hastened by digital connectivity. As the world spins on its axis in the Asian century, buoyed by optimism, the new generation are interested in exploring traditional culture and heritage. There is growing pride in local provenance. Small, crafted and discovered is increasing in appeal. To infuse design with cultural insight.